While a lot of folks who know me can never guess it, I suffer from an acutely short fuse. When the stars align themselves just about right (which happens once a day), I get angry for every single thing. While age and a lot of public outbursts has taught me to bury the outward reaction to anger. What was not taught by the previous two factors was taught by a job wherein a lot of my time is spent in listening folks telling what is going wrong in their organization. And when you see there are folks who try to channel frustration to better themselves, you cannot help take a leaf and try to achieve that zen state when you can use your anger to make yourself better. Talking about anger, I think the subject of my anger been, not very surprisingly, been my family. Any other mother or father would have completely disowned a son who in a spate of anger is prone to say anything that happens to be thought at that very instant. The only person in the family who perhaps should be fine with me is my anger is my sister, who has no fuse at all. In fact compared to her, I appear to be a shaanthaswaroopi! With most of the outsiders, when I know I'm angry, I just move away - knowing that all it takes is a couple of sentences to irrevocably break the rapport built over years. There have been occasions where I have snapped and have paid the price of burning bridges forever. Physical Exercise: I once read Bjorn Borg (my third favorite Tennis player after Sampras, Federer) had a resting heart rate of 32 bpm. I have over the last year, made it a habit to eat healthy and work out - not necessarily pump iron - but to swing the racquet (Racquetball or Tennis) whenever I get a chance, making it a compulsory habit to run at least 30 miles a week. And recently, I got a low cost boxing bag which has allowed me to let the atrophied muscles let it rip when it rains/when I wake up late etc. As a result these days my normal resting heartbeat rate is 45-50 bpm. I initially I was scared that it was bradycardia, the absence of any other weird symptoms convinced me I was on the right track. A subsequent good effect has been that I have lengthened the short fuse - It takes a lot to get me angry these days. There are still certain buttons, punched in the right order can make me snap like a crocodile. Work & Allied Activity: I would (very loosely) classify myself as a technology enthusiast and spend a lot of my time reading (possibly useless) stuff on Engadget, CNet, Mashable, Techreview, Tech Republic, SmartPlanet and almost anything that talks about Cell Phones, Computers, Cloud Computing - thanks to this acquired interest for a guy who had no clue about what IMAP and POP meant 5 years ago, I was till recently considering setting up a home email server. Thankfully, Office 365 saved the day. 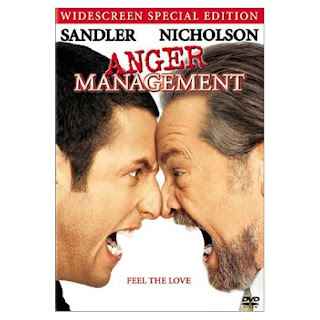 Hopefully I make progress on the new found Zen state of mind and not regress into an Adam Sandler mode! There were countless hours when I used to argue about Tendulkar versus Richards with my dad, Tendulkar versus Lara with classmates in school, Tendulkar versus Ponting in college. Just talking for Tendulkar gave me goosebumps, leave alone glorify him. If I had the opportunity to watch him play - which was sadly curtailed ever since the idiotic Set Top Box made its presence (rather, absence) known - there was untold joy. Straight Drives were imaged in the memory to be spoken about with friends the next day. Statistics were religiously studied, analyzed and thesis were presented on why he was God and others were not. Cover Drives and flick of the pads brought more smiles than deepavali crackers and badaam halwa. But as fate would have it, if there was Tendulkar batting at one end, the batsman at the other end would be Manoj Prabhakar (or Sanjay Manjarekar or Praveen Amre or Vikram Rathore..) casting a dark shadow on the unbridled joy of watching SRT bat. If at all irony had a visual definition, a random Indian batting score card in a game played in England/South Africa/Australia/West Indies between 1990 - 1996 will suffice. Since 1996, SRT had two other sidekicks - Rahul Dravid and Saurav Ganguly. While one of them was a flat track bully and the other a technician of the highest order. Apparently, God had smiled on another God - or so it seemed. But combine some inept captaincy (1999), some Theevetti Dhadiyan attitude (2003, courtesy Sodha) and horrible planning (2007, Courtesy Greg. C), SRT could still not get the one thing that would foolproof his resume - the World Cup winner's medal. 2010 - An Indian Team where SRT is referred to as Paaji. And then, the captain, MS Dhoni. In my opinion, M.S. Dhoni is the best thing that happened to Indian Cricket since Sachin Tendulkar. Both of them have completely different batting styles - while one is the surgeon, working with finesse and precision, the other was a brute-force butcher. But it needed both of them combined to bring home the silverware that every person in my generation coveted and desired beyond a lot of other things. MS Dhoni has brought a quality that is often not found in a lot of Indian leaders - a straightforward approach and a never say die attitude. And best of all, consistent with the adage that "when the going gets tough, the tough get going", Dhoni just slapped all his critics with one masterful, mother-of-all-captain's-innings and father-of-all-under-pressure-innings in the WC Final. SRT and Dhoni, both of you deserve to be venerated. You have made my 20 years of cricket fanticism culminate in a memory that will live with me forever. 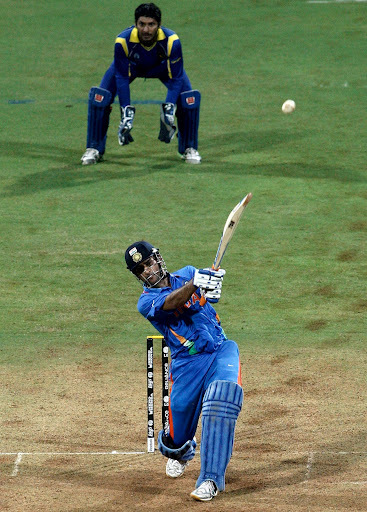 P.S: For morons who say MSD is lucky, you can be called lucky only when things go your way once in a while. When you get things done consistently, then the appropriate word will be "good" and not lucky. This is just a vent for my frustration - I know this really makes zilch difference to the issue at hand. First off, congratulations for heading one of the most openly recognized corrupt Governments in recent history. An achievement that requires dedication, hard work, perseverance and of course, the X-factor which only the Congress Party can provide. After Kalmadi and Raja have had a field day with what used to be called as public money and after our beloved 'son of the soil' Rahul Gandhi has clearly and conclusively demonstrated why he should never be given the keys to his own apartment, you've managed to surpass all my expectations in one masterstroke. 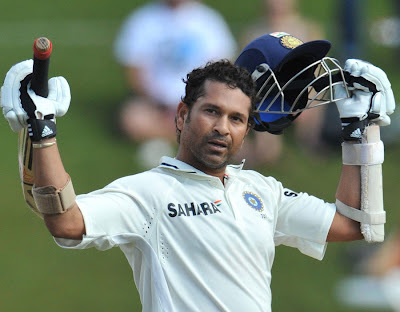 Sachin Tendulkar is one of God's gifts to India. On this particular aspect, I want to make it clear that it is not an opinion or an argument being put forward, but an established and inarguable fact. Of course, with the entire (pseudo) secularism that is being spewed by Digvijaya Singh and the like, I should perhaps qualify that statement as Tendulkar is the Holy Father's / Allah's gift to India. I do not care if the news that was leaked was a rumor or not. Once there is this talk about presenting him with the highest civilian honor amongst the public and/or the media, the graceful (and respectful to Sachin) thing that you can do is to just go ahead and confer the honor on him. Sachin who has brought joy and pride to countless Indians deserves at least this much. Whether a player who plays for a club team (BCCI is not a Government organization - On a parallel track, thank God for that or else Sachin would have had to pay a bribe to the Sports Minister to have gotten into the team in the first place) deserves the highest civilian honor is a moot point as you have on multiple occasions conveniently recognized the BCCI Cricket team's achievements as possible and probable cause for National pride. Bowing to this public pressure would surely not rank as one of your worst decisions in the last so many years. I understand that your blatant pandering to vote bank politics means that Kalmadi is removed from his post 3 months after the Common Wealth Games and our esteemed ex-minister A. Raja has the gumption to state that he is being targeted because of his socio-economic status (a new euphemism for caste), when even his own kid will tell him that he is being targeted because he was at the epicenter of one of the biggest scams in Indian politics/administration. And of course, your party sees it fit to have an alliance with one of the parties that was originally alleged to be behind the plot to assassinate an Indian Prime Minister (it is very convenient that the commission that investigated the entire matter gave a clean chit to everyone who mattered and their grandmother). After so many brilliant moves and decisions, actually, conferring Bharat Ratna on Sachin might be your best achievement in the current term at office. Apparently, the reason being propagated for denying Sachin the honor is that he is too young. I do not know about the places where you come from, but as far as my (limited) knowledge goes, in almost all major sports realms, you achieve immortality before you are forty. And to a level of certainty we can safely state that what Sachin achieves after he is 40 and before he is 60-70 (or dead) will be definitely lesser than /equal to in magnitude to what he has already managed to achieve between 16 years and 40 years. If you are still going to maintain that he is too young, I would kindly entreat you to apply the same paradigm of constraints on Mr. Rahul Gandhi who has systematically and conclusively proved that he neither has a sense of history (RSS slight - I doubt whether he would know who Veer Savarkar is) and current affairs (saying Hindu Fundamentalists are the major threat to the country's security when fundamentalists from a particular religion periodically engage in long term ethnic cleansing in the Kashmir valley). Based on his (lack of) knowledge in history and current affairs, involving him in any capacity in the Government is a bigger threat than corruption, religious fundamentalism and other perceived threats, as it is precisely such ill informed folks who engage in the afore mentioned threats to the country. Again, based on the 50 plus years of Congress rule, expecting you to do anything that would seem sensible and logical to most of the people in the country will imply I'm smoking a banned substance. The only silver lining is I can get away with it as long as I agree to pay the bribe. To the man who has had a wonderful year - breaking ground on the 50 test centuries terrain and beating all the young, T20 bashers to scoring ODI's first 200 and of course, taking the Mumbai Indians to the IPL final - Sachin has done it all. Truly, blessed are we to have been able to watch this genius in live action. If at all there exists anyone/thing that can be called God's Gift to India, SRT is the one. Thanks to Cricinfo/Getty Images for the picture.